The Lakeview East Gift Card works at over 150+ participating merchants which include specialty boutiques, restaurants, theater and much more. 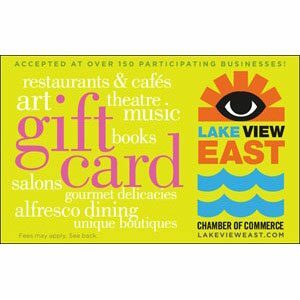 The Lakeview East pre-paid gift card can be purchased for any dollar amount from $5 up to $500 through the Lakeview East Chamber of Commerce. All participating merchants have the LVECC Gift Card sign posted. Once a card is purchased the user can quickly check their balance at anytime on-line at getmybalance.com for real-time balance information. Card funds do not expire. After valid thru date, contact us for free replacement Card. Unless prohibited by law, a $2.50 fee will be deducted monthly from Card balance starting the 1st day after 1 year of inactivity. Activity means any action resulting in a charge in Card balance, other than fee imposition, or adjustment due to error or prior transaction reversal. $5 fee to replace lost, stolen or damaged Card, except as prohibited by law. Not redeemable for cash or credit, except as stated in Card Agreement. Additional terms are stated in the Card Agreement. Purchase, acceptance or use of Card constitutes acceptance of Card Agreement. For Card Agreement, inquiries or information: getmybalance.com or 800-985-4316. The Lakeview East Chamber of Commerce Gift Card is issued by MetaBank®, Member FDIC. We reserve the right to add and/or remove any participating merchants to the gift card at any time. 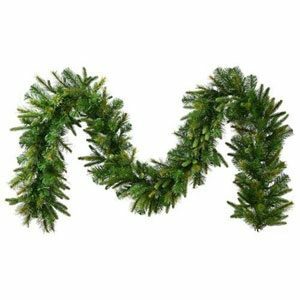 Due to state laws at this time, Connecticut, Hawaii, Maine, New Hampshire, Rhode Island and Vermont residents are not allowed to purchase a gift card online through this website.